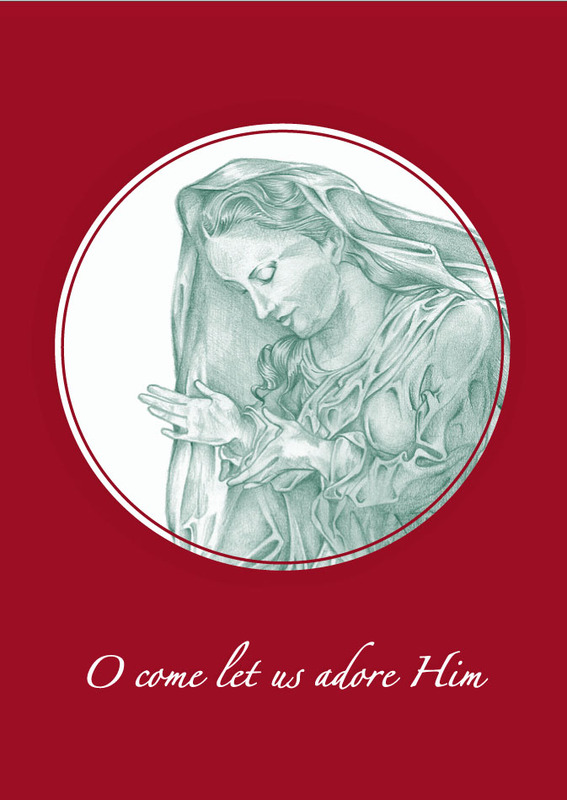 Brother Knight Father Terry Grachanin has created a selection of Christmas Cards, Note Cards & Prints that are available for purchase. A portion of the proceeds go to the St. Kizito Foundation, a scholarship founded by Father Donald Dunson to provide education to children in Northern Uganda. 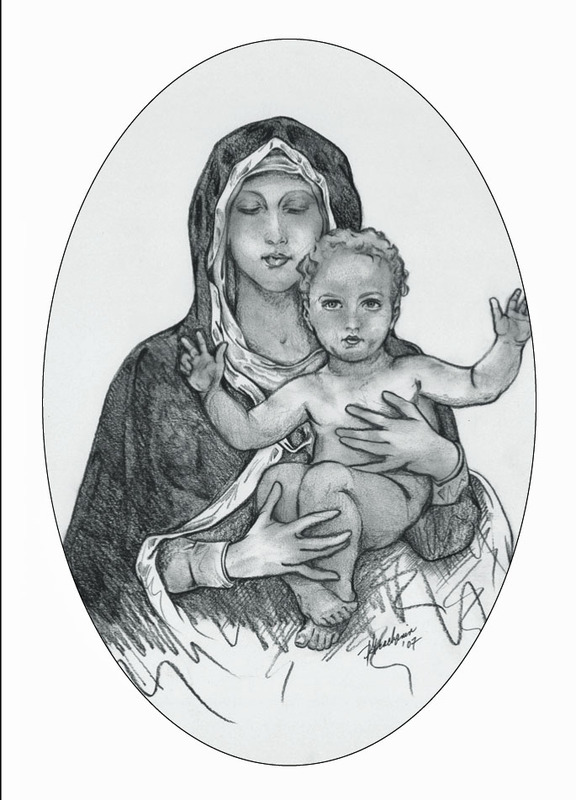 In addition to enjoying the beauty and unique character of these cards, you can benefit those children most in need of help. Click HERE to access an order form and further information. The "Measure Up" Campaign, is organized by the Ohio State Council, in support of Developmentally Disabled children and adults. In addition to the funds that the men of Father Ragan Council donate directly with their dues, via the "Gimme Five" (Dollars) Campaign; members annually collect donations at area churches and businesses. 20 % of these funds go to the State Charitable Foundation for support of statewide agencies providing support to developmentally disabled children and adults. 80% is returned to Local agencies chosen by Fr, Ragan members. In 2015 Fr Ragan Members collected $8545.37 for this worthy cause. Local Agencies receiving funds were: Lucy Idol Center, Family Haven, Muray Ridge Center, & Our Lady of the Wayside. Members and their wives contribute their "Loose Change" at council and Isabella Guild Meetings as well as at social events to the "Pennies for Heaven" drive in support of vocations. 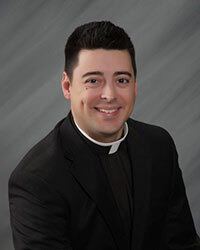 Over $125,000.00 was raised by Ohio Knights during the 2014-2015 fraternal year to support men preparing for the priesthood in Ohio’s diocesan seminaries. Fr. Ragan Members contributed nearly $1000.00 toward this effort. On the first Sunday of December member's host the annual Seniors’ Dinner. Over 250 area seniors enjoy a totally FREE turkey dinner with stuffing, potatoes, vegetables, salad and desserts. Door prizes and raffles add to the enjoyment of those in attendance. All compliments of the men of Father Ragan Council. "Salvaging and collecting used stamps is a way to help various charities. Thus, everyone can be counted as donating to charities and still be sitting at home. This is an impressive fact. Stamps I have collected have been given to Father Gerard Gonda O.S.B. of Benedictine High School. They accumulate from many sources and then sell back into the philatelic market to a dealer who retails them or sells to other philatelic dealers. There is a large secondary market for these used stamps. What they pay, I have no idea. But in this case, the Benedictines do generate funds to be used for their many programs. I will accept stamps in all forms: complete envelopes and post cards from which I will cut the stamps and then shred the balance. This insures that all names will be removed. The paper will be recycled by placing into a yellow bin behind Holy Trinity's school. Nothing is wasted. I prefer this method - receiving the entire envelope. However, I offer a second method. If someone wants to remove the stamps themselves, they should leave a minimum of one-half inch of paper around the stamp or stamps where possible. Cut stamps, damaged perforations, torn stamps, etc., are useless and are discarded. PLEASE DO NOT ATTEMPT TO PEEL STAMPS FROM AN ENVELOPE OR CARD. This almost always results in a torn or thinned stamp rendering it not collectible. All stamps are needed: first class in any form (commemoratives, all flags denominated and non-denominated, and yes, all Christmas, Hanukkah, Kwanzaa and EID); service inscribed stamps (non-profit, bulk rate, pre-sorted first class, etc. ); personal computer postage stamps (e.g.. Stamps.com); personalized postage stamps (Stamps.com, Endicia.com, Zazzle.com, etc. ); air mail; USPS produced preprinted envelopes; and, all obsolete postage stamps (postage dues, revenues, etc.). If it looks like a stamp, send it. Of course, the above information applies to foreign stamps as well. In other words, they will take the whole world! Meters, preprinted endicias, and other similar items are not collected by the missions and I will only recycle these items. However, if in doubt, send it! If the entire envelope is donated, these should be put into a dry plastic grocery bag, If the stamps are cut from the envelopes, the stamps should be put into a larger envelope or sealed baggie. If the stamps are brought on the normal Thursday meeting nights, I will take them since I try to get there after bowling. If I cannot be there, I will ask Jim Bruder, Vic Sedivec, or Cy Bliss to pick them up for me. If they have to be stored (short term only), I would think that the office would be the logical place so no one discards "this junk." I can hear it already: "Get rid of this junk!" (Note aside: a piece of "junk" sold last week on e-bay for more than $1,000. The stamp sold is a used copy of the $0.37 Snowy Egret produced in 2003 - two rate changes ago! "Junk," my foot! You can see why there is an aftermarket for this material. I refuse to call it "junk." This also proves that age has nothing to do with the value of anything.) Which brings me to another Note Aside: I will offer my opinion to anyone who may have a stamp, old cover, or collection that they own or has been handed down, but don't know what to do with it. I am not an appraiser, nor will I attempt to do so. But, I can offer an educated opinion. I would not want someone to donate valuable stamps to this cause since neither the owner nor the mission will benefit from its value without the collection being properly identified as valuable. Material like this would have to be viewed by appointment. I would emphasize that older material not be reduced to small cut squares of paper. If someone has any older material, they should call me first. I am sure this will generate more questions than the above outline covers. But I am here to answer them. But the most important step is to start saving. If you want to become a philatelist that will definitely take more time. I have been a collector for more than sixty years. George (Perz) (440) 937-6606." 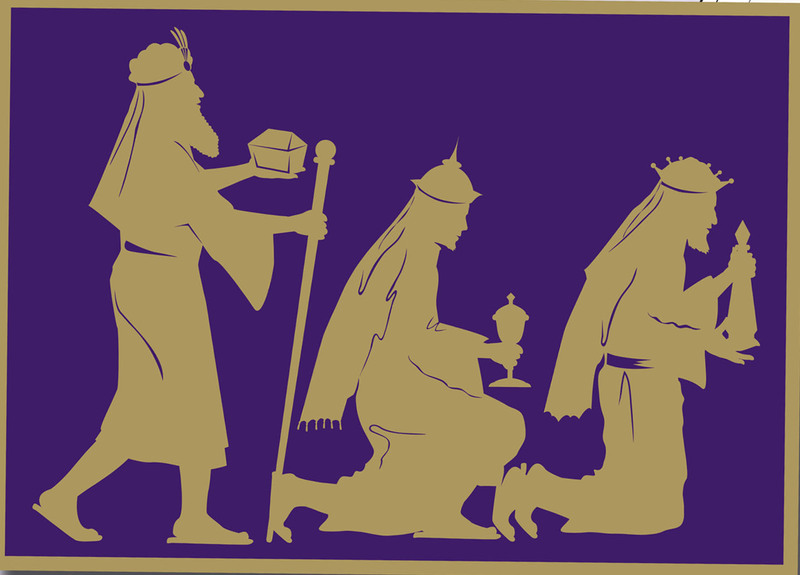 The Father Ragan Council provides services to the community primarily through its gifting programs as outlined in the introduction. To raise money for the gifts, a number of fundraisers are either ongoing or periodic. For example, Fridays are devoted to bingo at the center. Spaghetti dinner benefits are held for specific purposes. A May 18, 2008 benefit at the Knights of Columbus Hall was for the benefit of two-year-old Madison Mehal whose father, a teacher at St. Mary's School, recently died. Raffles and other activities are used to raise additional money. We also note that important services flow indirectly from council members whose influence generates remarkable activities. For example, Gregg Lowe, son of Joe and Helen Lowe was instrumental in creating the ultra-modern, $3.4 million Joseph and Helen Lowe Pre-Engineering & Technology Center at St. Edward high school in Cleveland, Ohio. 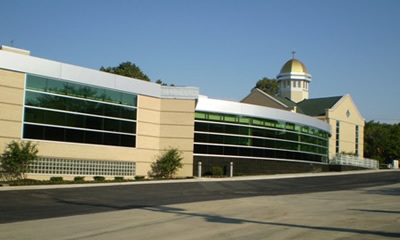 The facility was dedicated on July 31, 2008 with about 500 guests in attendance. Gregg’s vision and financial backing initiated the pre-engineering program in 2001. About 300 of the school’s 900 students enroll in the program and over ninety percent go on to study engineering in college. The new 13,000 square foot facility has nine rooms, a pre-engineering lab, a seminar room and four classrooms. The freestanding building boasts 10 miles of network cable and more than ninety new computers. 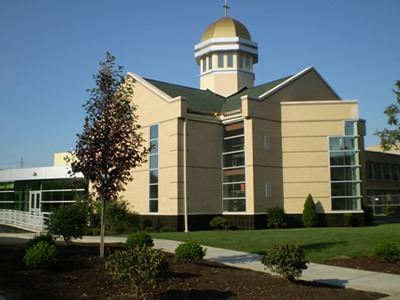 Its lobby connects to a brand new chapel topped with a decorative gold dome. Hover the mouse pointer over the following words for additonal views of the technology center. Incidentally, Joe and Helen have eleven children. God’s gift of life is indeed precious. Thank you and congratulations!